This book is about the ironies of history, the ambiguities of even the best-intentioned of human actions, the complicity of all human beings in the histories of their respective societies, and the crucial roles of repentance and forgiveness in the health of any society. 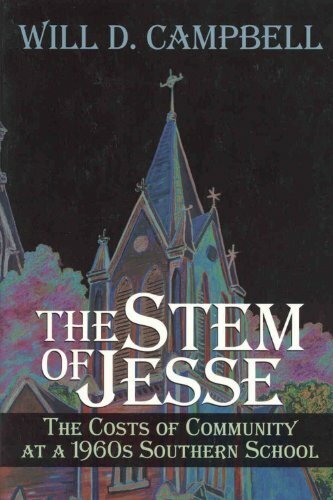 Campbell (Brother to a Dragonfly) was a noted activist (``Brother Will'') during the civil rights movement, and his personal style-part historian, part preacher-pervades this idiosyncratic study of integration at Baptist Mercer Univ. in Macon, Ga. Campbell proceeds nonlinearly, beginning with reminiscences from the ``white'' side and the ``black'' side, then interviewing a veteran Mercer professor (a white man who considers himself a Christian radical) who suggets that integration has been a failure ``throughout the land.'' Next comes a more conventional historical narrative, recounting how Mercer president Rufus Harris helped engineer the admission of a Ghanaian student, Sam Oni, in 1963; the protests against that decision; and Oni's barring from the local Baptist church. He also details the subsequent efforts to recruit and support black students, and, in a ``composite'' story, the arrival of drugs and the counterculture on campus. The book concludes with an account of a 1994 Mercer reunion in which Campbell-not a Mercerian but a white Southerner burdened by guilt-asks the finally returning Oni for forgiveness. Photos not seen by PW. Copyright 1995 Cahners Business Information, Inc.